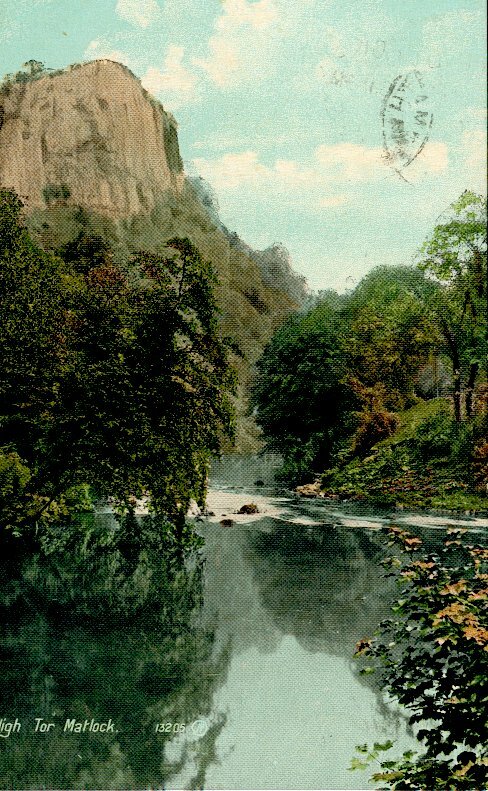 High Tor views are described on postcards and in books as being in both Matlock Bath and Matlock. Little wonder that this view was so favoured by artists! Seventeen half size images, all of postcards or stereoviews of Matlock Dale. 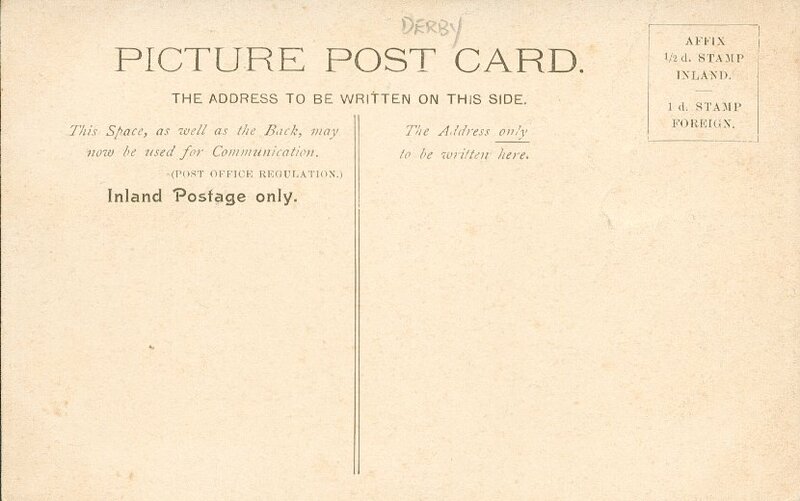 To see the full size image or what is on the back (either full size or half size), click on the coloured links and they will open in another window. 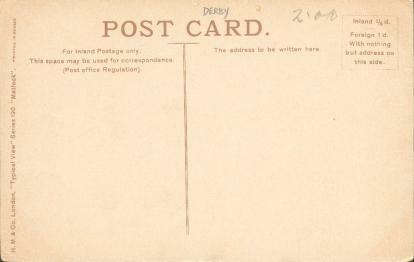 Not all images can be displayed on the page, so you may need to click a link to see the picture. 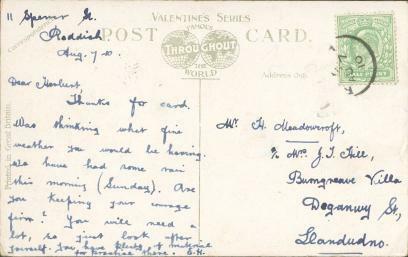 Valentine's Series Souvenir Post Card, No. 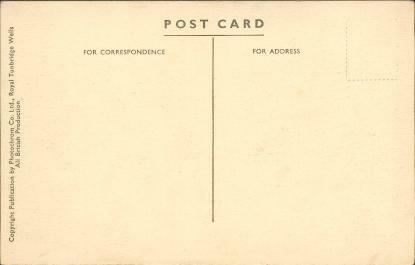 13204. Original was taken about 1893. 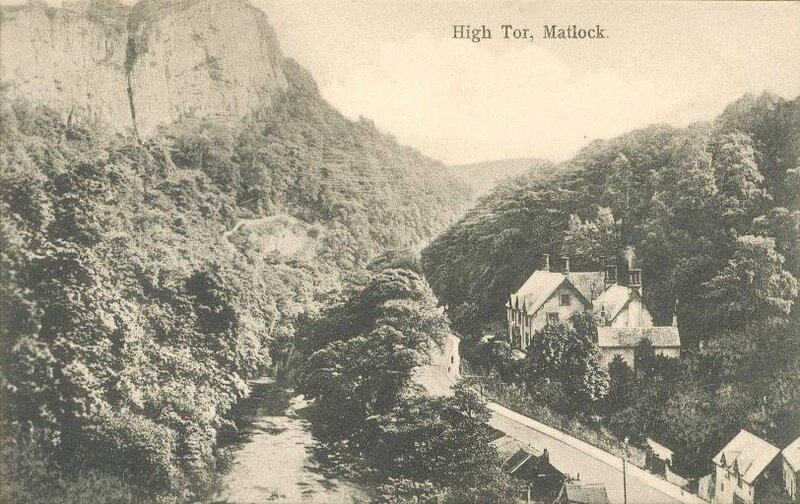 Looking upwards to High Tor from the river level, showing Tor Cottage (later the High Tor Hotel) peeping between the trees, which are in full leaf. 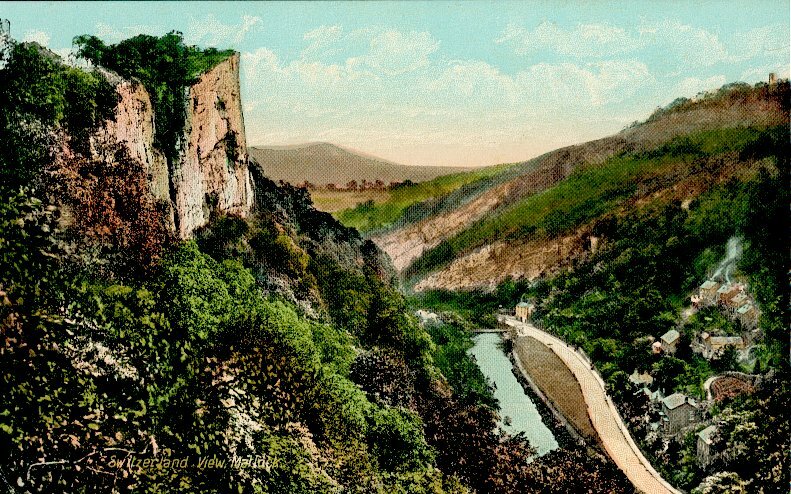 Lovely view. Valentine's Series Souvenir Post Card, number 13205, about 1893. This is the same view from the riverbank as number 13204 (immediately above), but is close up. 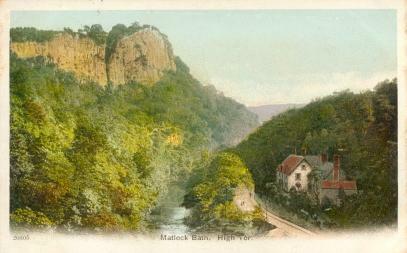 Looking northwards towards High Tor from Matlock Bath rather than the usual view. 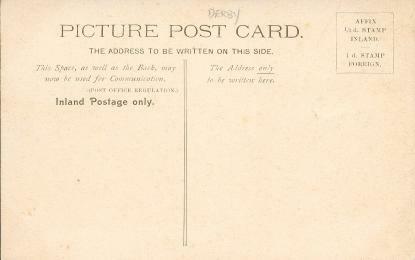 Lovely colour card of the Tor. 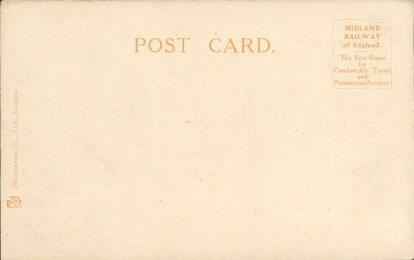 On the back: Queen Series. 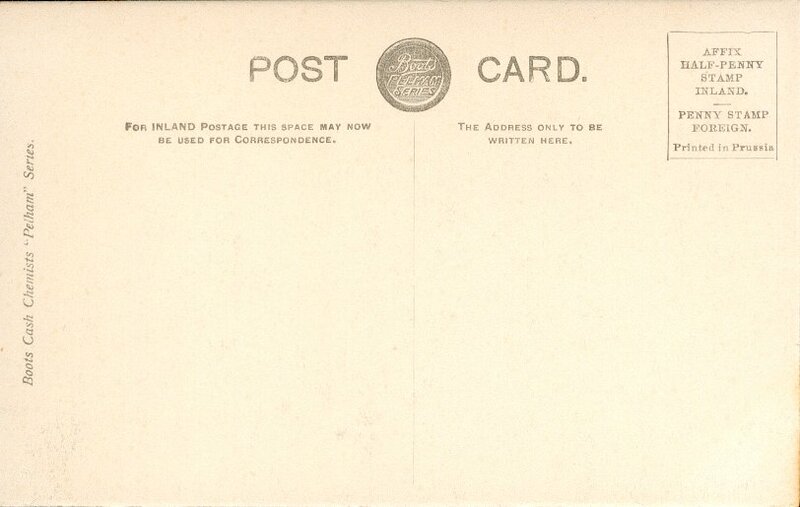 Posted Aug 24[?] 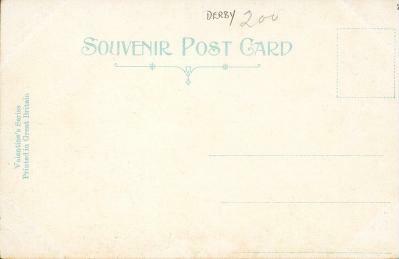 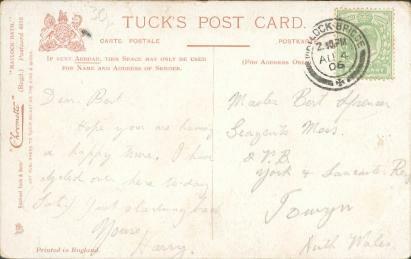 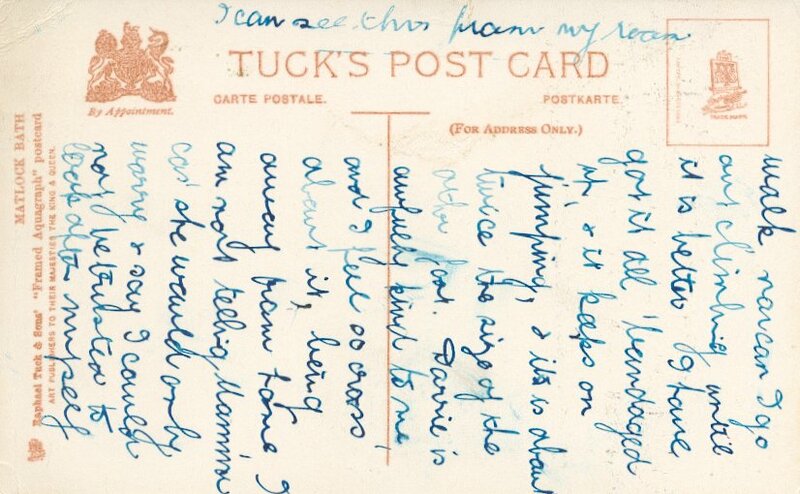 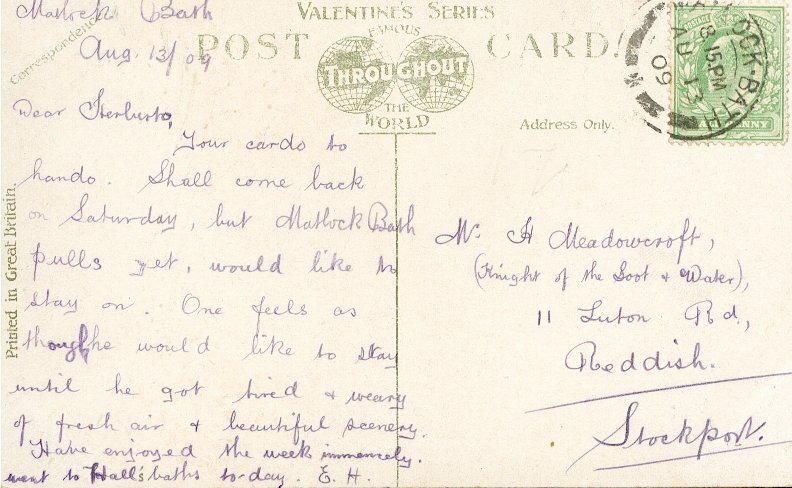 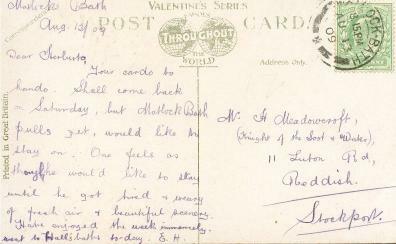 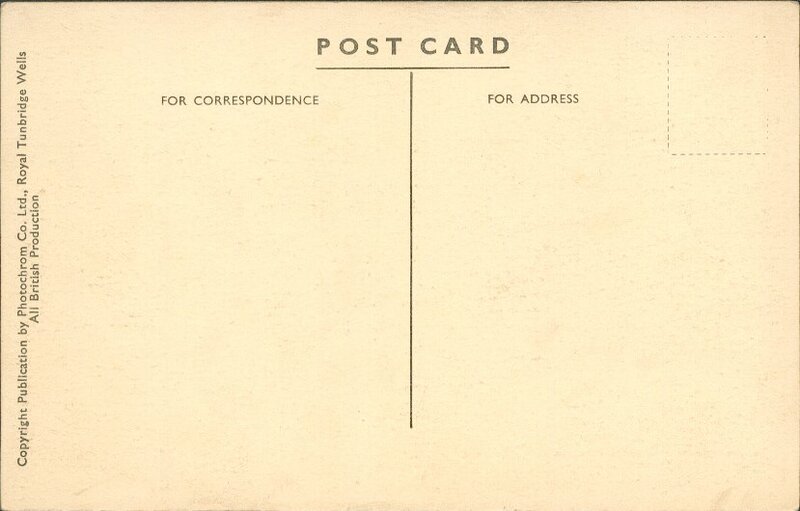 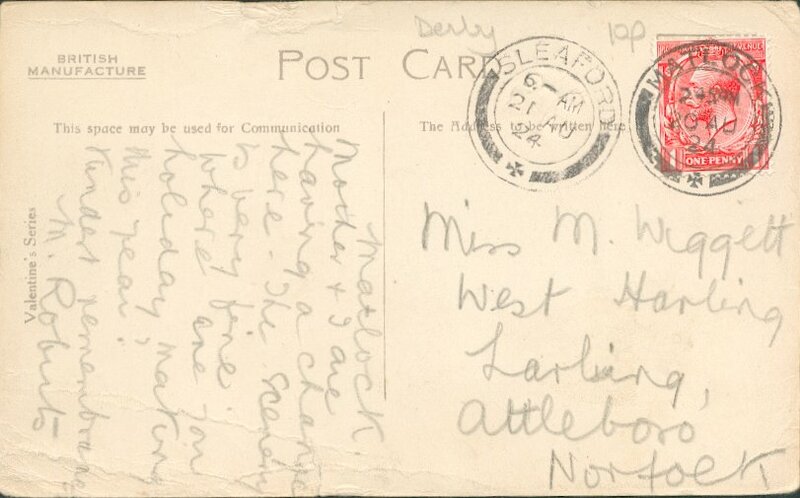 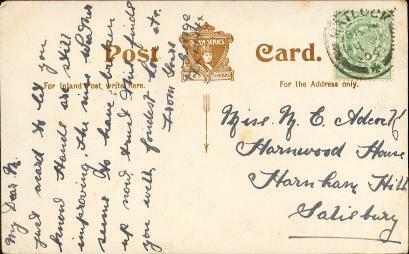 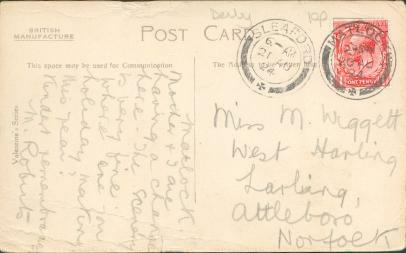 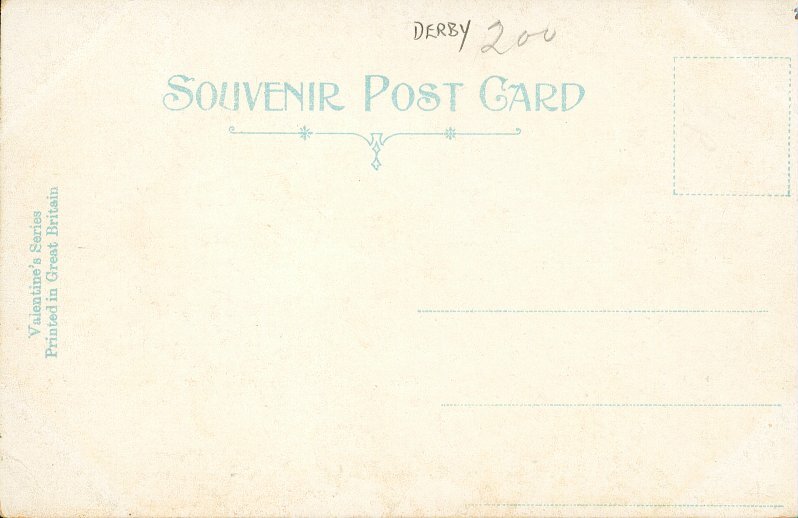 1909 in Matlock and sent to Miss Adcock of Salisbury by George. 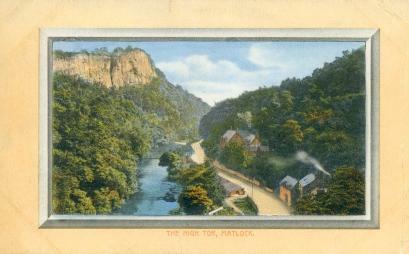 The Tor, with the High Tor Hotel. 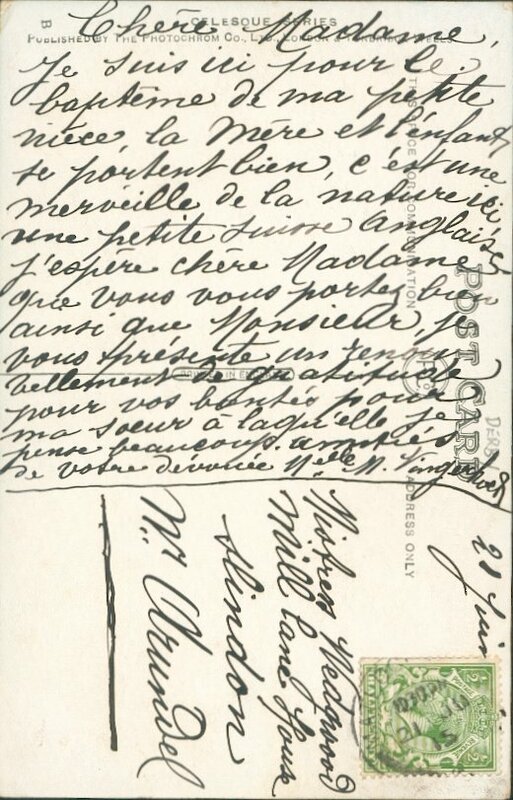 No.20805. 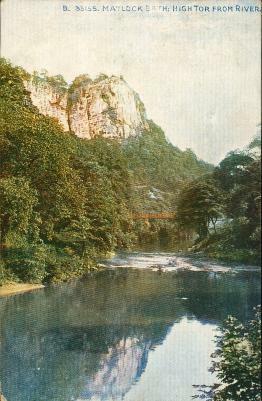 Looking up to High Tor and showing the footbridge across the river. There is a lovely clear reflection of High Tor in the water. 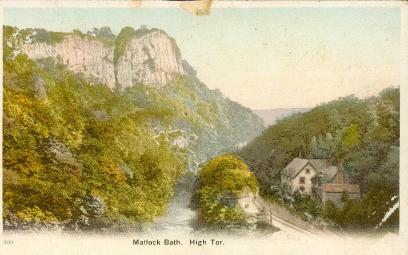 Looking north towards Artists' Corner and Matlock. 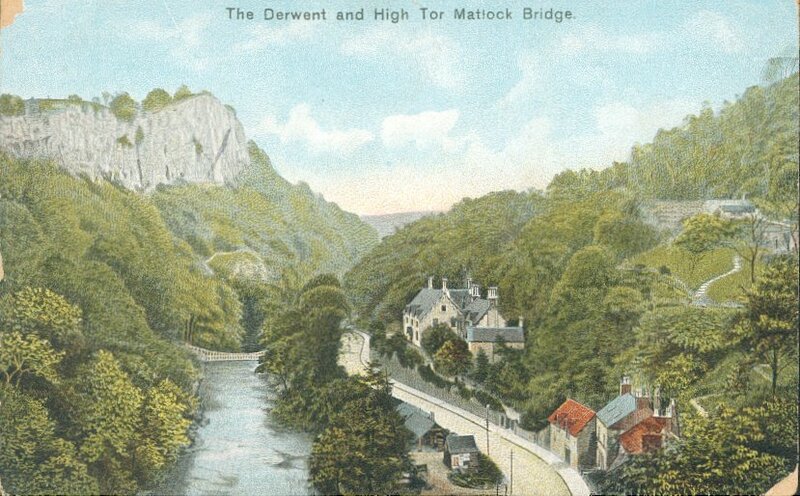 Good view of River Derwent, the footbridge and the roadside buildings. It has been taken from opposite the present colour works bridge. 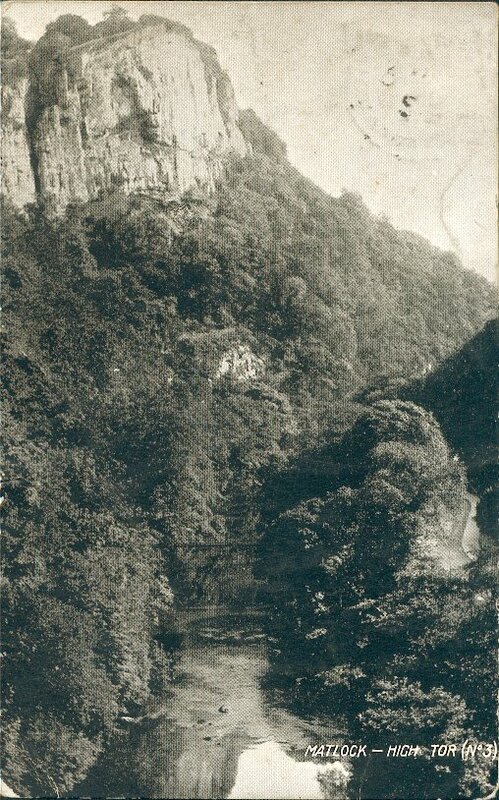 Shows the very obvious signs of the workings at Flax Quarry, just south of the High Tor Hotel. 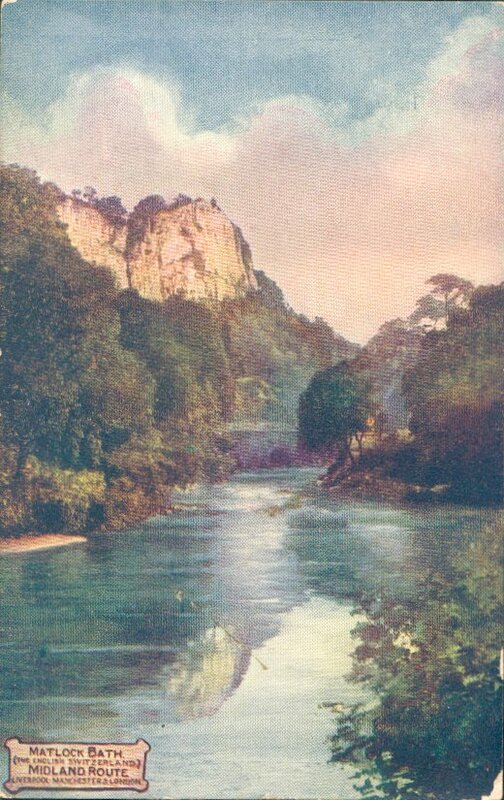 Also the tippings into the river. 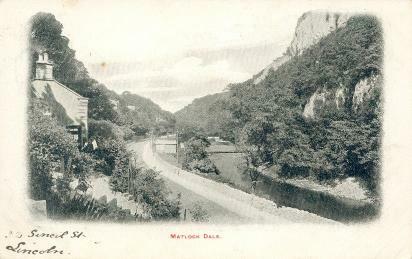 Looking south and down into the Dale, showing the houses directly opposite High Tor and the bridge that led across to the colour works. Looking south, this lovely view shows High Tor and Artist's Corner, with a clear view of Tor Cottage/House (later the High Tor Hotel). The blacksmith's, run by the Martin family, is on the corner opposite the Tor Cottage coach house. 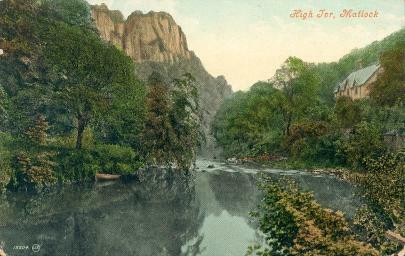 Similar view to image 6 in this section. 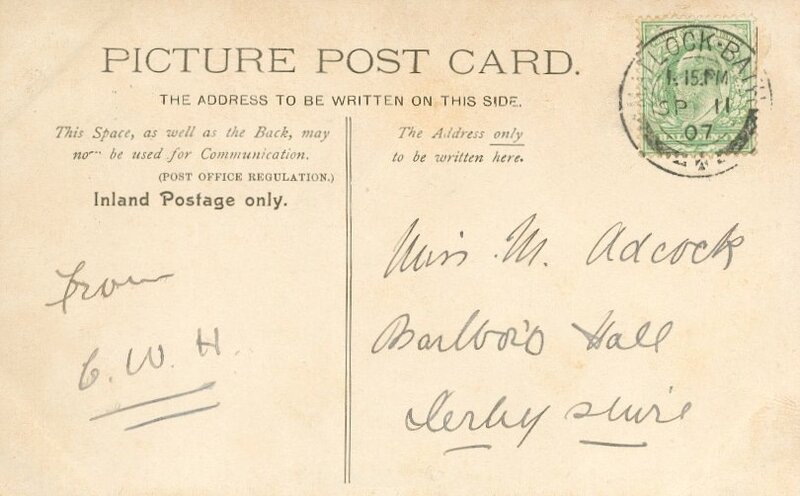 This picture was also printed by other publishers. 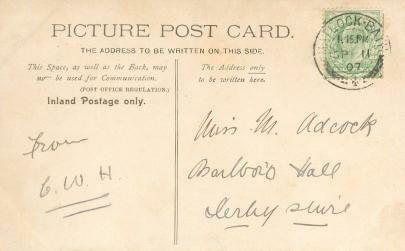 For example, a card published by Milton reads 'The Milton View Series No.426 Woolstone Bros, London E.C.' 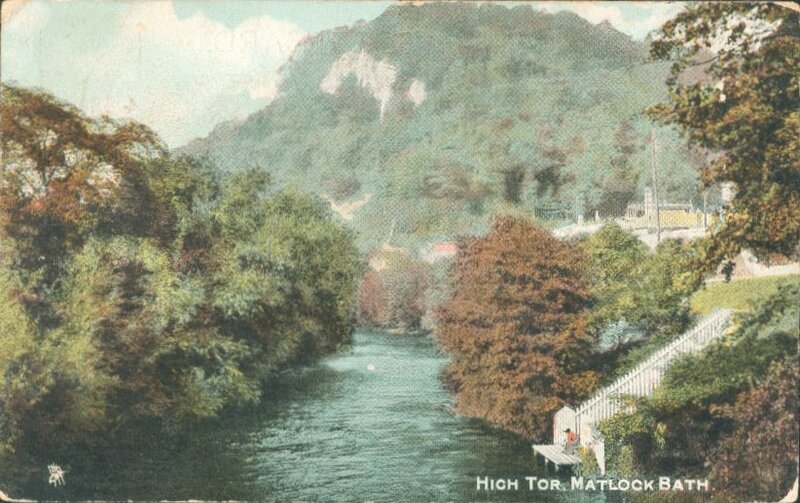 The Milton version was also 'Printed in Hessen'. 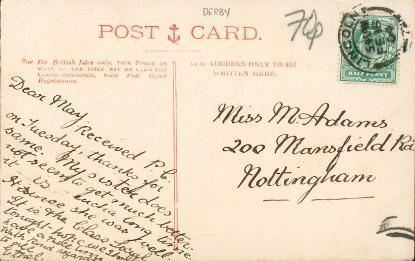 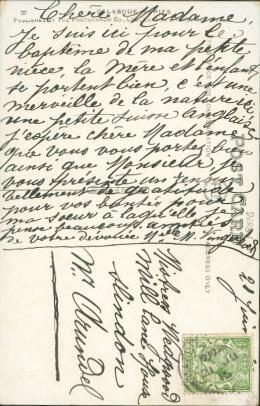 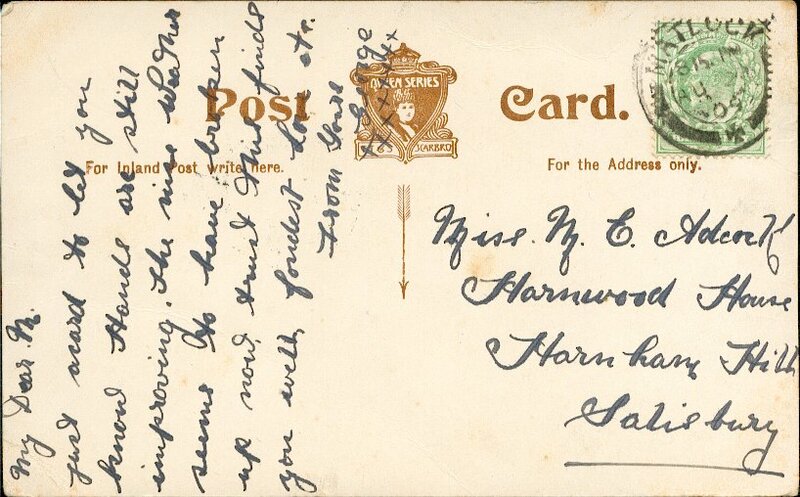 A third example was printed by 'HM&Co' and marked 'F W Martindale, stationer, 67 Carr Lane, Hull' with a postmark of 27.11.1904. The buildings up behind Tor House are the greenhouse and tennis court and possibly, to the right, part of the gardener's cottage garden wall. 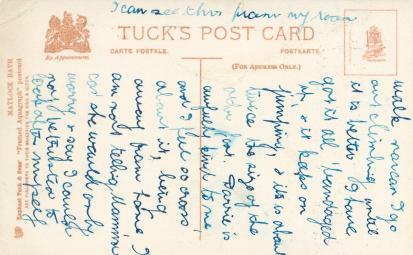 The greenhouse has its back to us and the glass sloped down the other side. On some cards it is possible to see the poles supporting the tennis court netting. The bridge is definitely painted on. 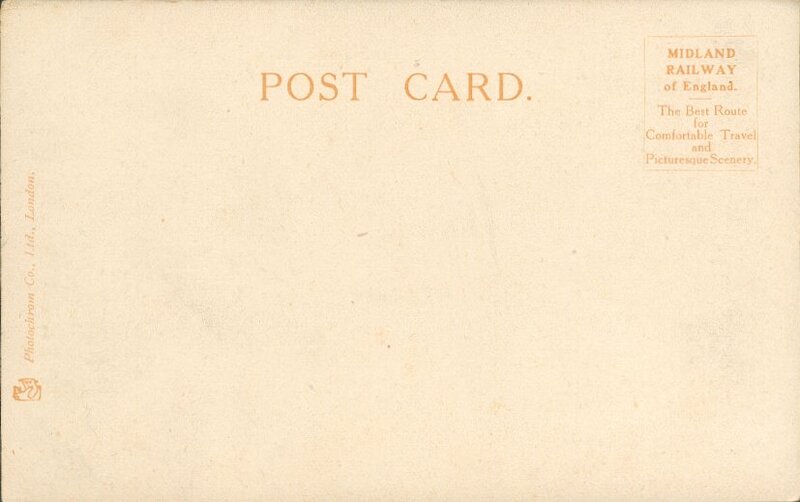 Valentine's Series, No.61550 (last number indistinct). 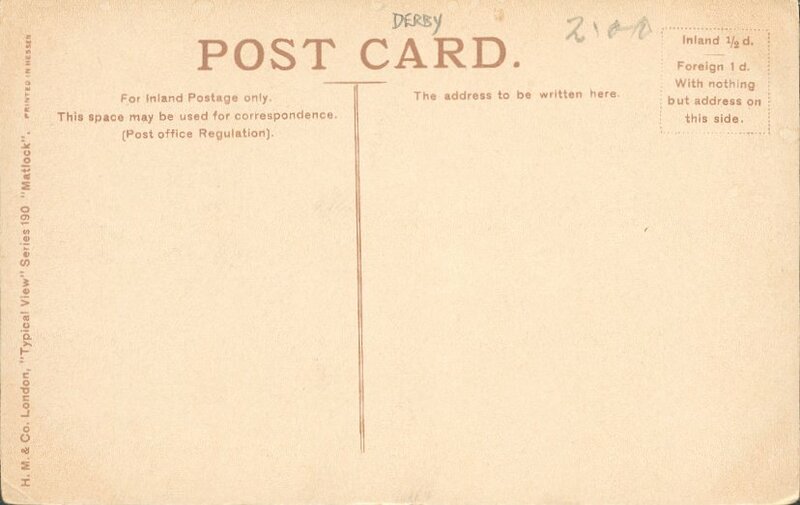 Dates from 1908-9. 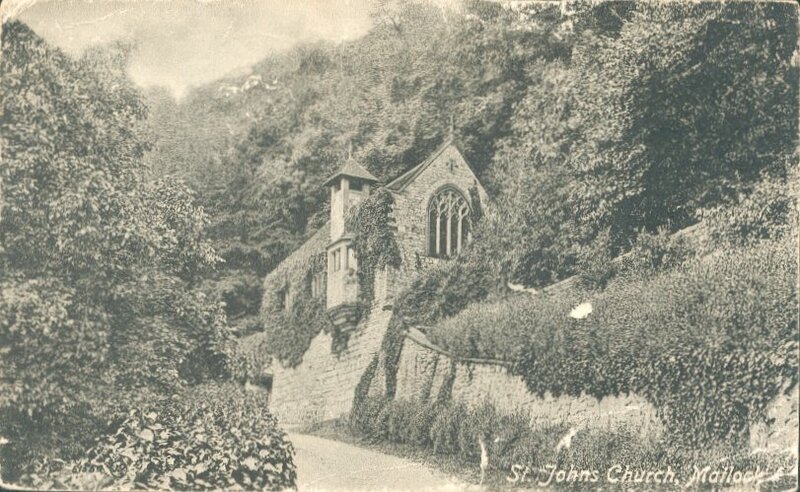 This church was designed by Sir Guy Dawber and the postcard shows the oriel window and bell turret. 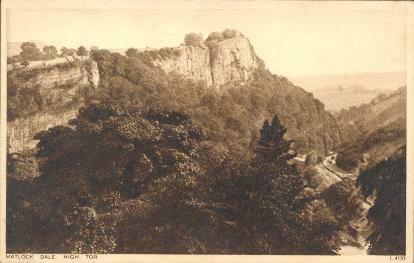 Taken from the garden of Tor Cottage (later the High Tor Guest House). It shows the property's original railings, most of which went when the wall fell down in 1939. This shows the old colour works bridge. The base of one of the piers is still visible in the river bed.